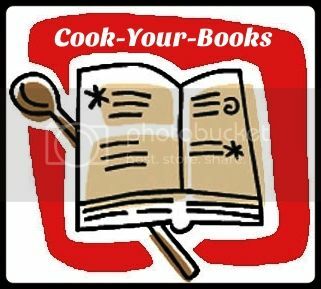 Cook-Your-Books is all about cooking or baking from your many cookbooks or magazines that you have collected over the years. If you love collecting cookbooks, read them like novels and trying out new recipes, then this is the perfect place to share. It's time to get those books (or magazines) out of the shelves, and start using them. Bake or cook anything from any of your books or magazines, and link your posts to Cook-Your-Books here at Kitchen Flavours. The linky will start on the 7th of every month right up to the end of the month. The three most viewed submissions will be featured at the next Cook-Your-Books. Hi Joyce, I'm so happy, many have viewed this coconut mooncakes. Thanks for hosting this event. Sure, your are welcome to submit your post, linky is open until 31st Oct! Looking forward to your link! Thanks for stopping by! Have a great week! Hi！ Joyce， I have submitted my 1st post for CYB 5 this month! I am submitting my late post :p for CYB #5.